Do you want to sack up this spring? Then you can’t afford to miss the June issue of Pole Fishing! 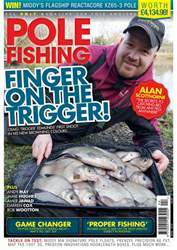 Featuring big-name anglers, including Des Shipp, Alan Scotthorne, Andy May, Jamie Hughes, Andy Geldart, Cameron Hughes, Matt Godfrey and more, the magazine is packed with net-filling tactics. 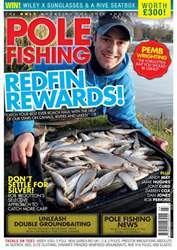 Two must- read head-to-heads see Matt Godfrey and Joe Carass go into battle on a fish-filled commercial and Jamie Hughes take on Matt Derry on a hard, narrow canal. 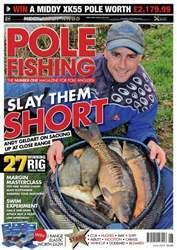 Commercial fishing maestro Andy Geldart kicks off a new series with a masterclass in short-pole fishing, while Des Shipp explains how he framed in two angling festivals in as many weeks! 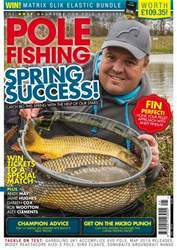 Add to this Jon Whincup’s exclusive guide to shallow fishing, Andy May doing battle with big slimy bream, plus a host of other tip-packed features, and you can see why this is an issue that you can’t afford to miss!